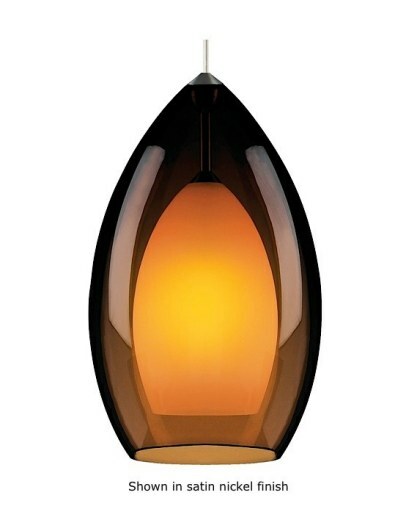 Make your space come to life with this beautiful pendant from Tech Lighting. Hang alone or in multiples to create the perfect lighting look. Translucent glass surrounds a frost glass difuser. Antique bronze finish includes antique bronze detail and brown cable; all other finishes include satin nickel detail and clear cable. Includes 120 volt, 60 watt G9 base halogen lamp or 120 volt GU24 base 27 watt self- ballasted compact fluorescent lamp. Fixture provided with six feet of field-cuttable cable Incandescent version dimmable with standard incandescent dimmer. This product can mount to either a 4" square electrical box with round plaster ring or an octagon electrical box.